All Mondomarine yachts for sale worldwide are listed below, scroll down to view them. The Italian shipyard, Mondomarine carries the slogan “The next sea level”, declaring to always strive to raise the bar to a higher level. 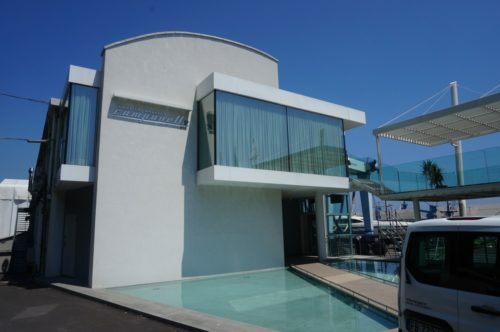 Located in the popular yacht building area of Savona, Italy, Mondomarine builds luxury custom motor yachts ranging from 131feet / 40meters to 197feet / 60meters. 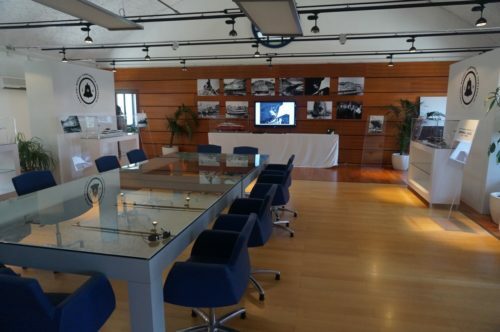 Founded in 1915, the formerly named Cantieri Navali Campanella shipyard, had a diverse shipbuilding history. For decades, it was a maintenance hub for commercial ships and during World War II, it handled repairs for the Navy vessels. After the war, the yard focused on the renewal of the Italian merchant fleet and even the reconstruction of damaged buildings. 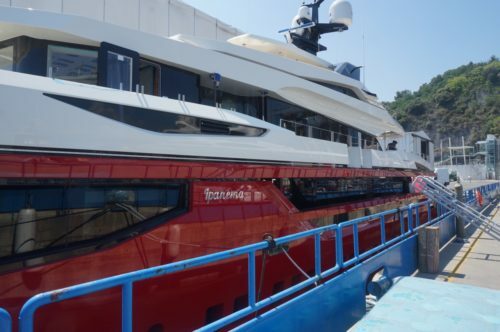 In the 1970s, with new ownership by the brothers Elio and Ferruccio Stroppiana, the shipyard began building superyachts under the Mondomarine brand with the construction of the renowned 157foot / 48meter superyacht MOHAMEDIA for billionaire Adnan Khashoggi. Alessandro Falciai and Roberto Zambrini acquired Mondomarine and the production site in May 2013, aiming to step into the future with a few projects that should represent a turning point in the shipyard’s tradition and reinforce the Cantieri Navali Campanella as a brand. 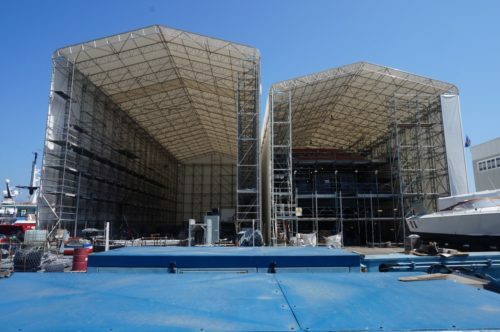 With its corporate and marketing functions headquartered in Monaco, the company continues to build its yachts at the 100-year-old Cantieri Navali Campanella shipyard. Mondomarine yachts are built from light alloy and steel, and depending on the size of the yacht, it may be semi-displacement or displacement hull. Mondomarine holds a global patent for the Mouldless Method, pertaining to manufacturing yachts using composite materials. 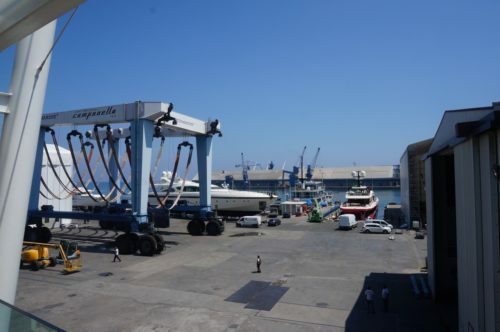 The Savona based shipyard is a full-cycle production site for constructions, repairs and refits, in line with ABS, Lloyd’s Register and RINA standards. In addition to the yachts previously built by Cantieri Navali Campanella, Mondomarine has a fleet of 66 yachts built so far. During the last 11 years, Mondomarine sold 21 yachts over131feet / 40meters, 7 of them over 164feet / 50meters and 1 yacht over 197feet / 60meters. Among the most notable yachts are 161foot / 49meter ALEXANDER AGAIN by architect Giorgio Vafiadis, the 133foot / 41meter MANIFIQ with exterior by Cor D. Rover, 133foot/ 41meter OKKO, with exterior and interior by Giorgio Vafiadis, the 161foot / 49meter STREAMLINER (Mondomarine’s 50th yacht build), the 162foot / 49.5meter TOY A, and the award-winning 166foot / 50.5meter power superyacht TRIBU. During the FLIBS 2016, Mondomarine unveiled the M42 project, the new 138foot / 42meter explorer yacht, ATLAS, designed by the renowned design house of Gregory Marshall. There are currently 22 new concept yachts by Mondomarine, ranging from the M74 Explorer to the SF30.